Four-part student ensembles arranged for two or more pianos. 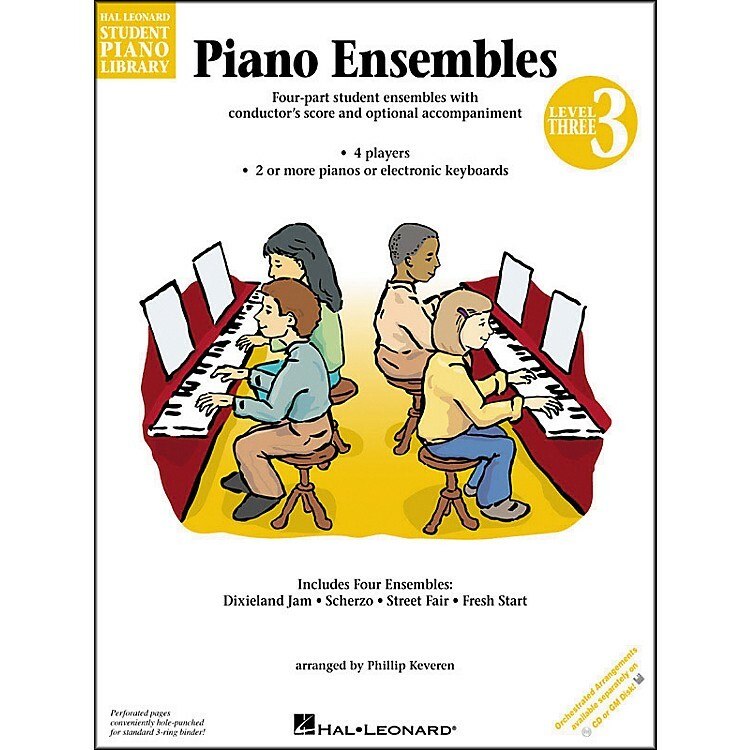 These ensembles, arranged by Phillip Keveren, feature student favorites from Book 3 of the Hal Leonard Student Piano Library. Each book contains four selections which include: · Four student parts · Conductor's score with optional teacher accompaniment · Performance configurations for 2 or more pianos · Suggested instrumentation for electronic keyboards. Fully orchestrated CD and GM accompaniment disks are available separately. Four ensembles: Dixieland Jam · Scherzo · Street Fair · Fresh Start.